We have the pleasure of introducing you to New England Review! This impressive journal prides itself on publishing a variety of voices and subject matter from both well-established and emerging talent. CONTEST! Leave a comment by December 8th to win a FREE one-year subscription to New England Review. U.S. residents only. This contest is now closed. Congratulations to our winner Greg L. Thank you to all who participated! DISCOUNT! Subscribe between now and the end of 2011 and get four issues for just $20 (regular subscription is $30). Use SPCNER in the special code line of the online form to get your discount. Without any further ado, we give you New England Review! 1. Why is your journal awesome? The variety of voices, subject matter, experimentation, and success with old forms—you’ll always learn something new reading NER—and if you give any piece a chance it is going to give you something back. We’re always hoping to find great work by unpublished writers, as then we can brag about having discovered them years hence. 2. Describe your ideal submission in 15 words or less. It no longer feels like a submission but like a voice in my head. 3. Tell us about a piece you recently published that got the staff really excited. Why did you love it? Why did it strike a chord? Can readers find it online (if so, feel free to include the URL)? I’ll tell you a little bit about the current selections on our website, so you’ll get a sense of what makes an issue of NER come together—and what our staff gets excited about. First some stunning and quiet lyric poems by Jennifer Grotz (with audio clips, so you can hear her read the poems herself), followed by Jordan Davis’s unexpectedly poignant take on office work and “clicking around.” Scott Southwick’s story, “Time Keeps on Slipping, etc.,” has a compulsive voice with a powerful cumulative effect, and Charles Holdefer’s essay on George Orwell will interest anyone at all concerned with what it means to be a writer in a difficult, violent world. We’ve also included Amy Benson’s riffs on a variety of contemporary artworks, which are very much like short shorts—but also obliquely resemble the works of art themselves. 4. Regarding submissions: What’s the most common turn-off that you encounter (in terms of craft)? Carelessness with language on the sentence level. I don’t mean that every sentence has to knock me over, but the words need to be chosen deliberately. 5. What’s the most common oversight (in terms of submission guidelines)? In prose, the problem is multiple submissions; that is, one writer sending more than one story or essay at a time; in poetry, it’s writers sending simultaneous submissions, which are not allowed at New England Review. 6. Give us the lowdown on your journal’s mission. NER is on the lookout at all times for writing that rewards the reader for spending time with it. Our editors are tenacious, and even our readers stick around for years, so at NER we’re not hoodwinked by long, star-studded vitae or writerly pyrotechnics that serve mainly to show us how smart or clever the author is. We’re impressed by writing that wrings all that it can from the language, that’s attentive to craft without necessarily drawing attention to it, and that’s serious in its purpose, which of course doesn’t prevent it from sometimes being absolutely hilarious. Our mission, more broadly, is to encourage and promote good writing, to give it a chance to find its deserved endpoint—a receptive reader. 7. Where can readers find your submission guidelines? Our website has all of our guidelines for submission. 8. What’s your favorite part of being an editor at NER? I love when a story that’s interesting but not quite right comes back to us months or even a year later as a much better piece—or when an author we encouraged sends a different story altogether but one in which I recognize the sensibility, only this time it’s hitting all the right notes. This makes me hopeful in all kinds of ways. Thanks for giving everyone a chance to win a subscription to your magazine! Have a Merry Christmas and Happy New Year! Hello to all ,wishing you a very Merry Christmas! Never take out,the Christ in Christmas and making it xmas! Would love to be the voice in your head. As a writer just dipping a toe into publishing waters, I am grateful for a journal that encourages, publishes the new, and buoys up those of us who are still learning but are serious about the craft. You used the word stunning as a description of a lyric poem by poet Jennifer Grotz–surely a beckoning to NER’s offerings. Stay tuned to the blog, Barbara! There are more great Lit Mag Spotlights in the works! NER’s cover alone led me to your Web site. More! Love that NER encourages new writers to try and try again–what writing is all about. Would love to be entered to win a free subscription. Thanks for the great interview. Too cool! And another voice in my head – thanks so very much. I can sure use more encouragement and motivation that comes my way. And by the way — PICK ME!! Thanks! A lit mag that looks for diamonds in what many consider “just pieces of coal”. Thank you for looking upon unpublished writers as jewels yet to be discovered. I’m very impressed with the editor’s attitude disclosed in the interview. It is refreshing and encouraging to know that even if one submission is refused, that the editor is willing to offer suggestive improvements and ‘gets excited’ as your skill improves. Every great story does not necessarily have a great plot nor will it capture the interest of a reader. It takes the magic touch of a skilled and practiced writer gifted in the skill of bringing selective order to words, sentences and paragraphs, that entices readers’ hopes,dreams and fantasies to live and excite from within. 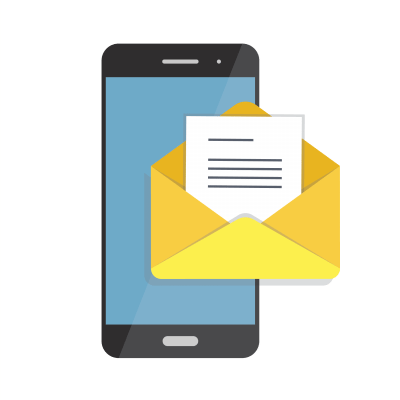 I was told to tell you, “Forrest sent me.” … Seriously, though, I need to read work from writers in genres other than thrillers and science fiction. This magazine publishes writers with styles and viewpoints I haven’t been exposed to since college back in the seventies. We were downsized in July of 2010, and I’m hoping either my husband or I can begin a second career as a freelance writer before the unemployment and savings run out. It’s more likely that he will segue back into writing; he was published in Analog Magazine back in the early 1990’s. I’m still hopeful that I can put some of my stories out there eventually. I hope to win because I am living on a disability check, and cannot afford to indulge in all of the literary aids that I love. Thanks for the opportunity to receive a free subscription…there are so many really good literary journals out there that it is often hard to find the time and money to explore new ones. I like the philosophy of the NER that you’ve listed…I like reading the poems of undiscovered (or underdiscovered) poets and writers and, since I fall into the category of undiscovered poets, it is refreshing to know that your journal would be interested in my voice! I appreciate NER’s candidity throughout their answers to the questions. It makes me want to share my work without feeling naked. I especially like the answers to questions 3, 5 and 6. The answer to number six on mission speaks to me as it is my mission to produce good writing so that it is given a chance, published, and finds its way to that prized endpoint – receptive NER readers. 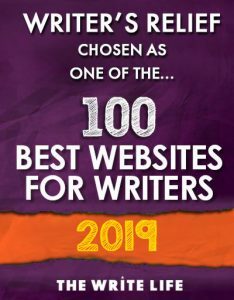 What a wonderful gift for writers, the chance to win a subscription to this fine magazine. NER is filled with inspiration. I am committed to submitting this new year, as a gift to myself. Thanks. I hope to one day to have an editor compliment my work by stating that it’s “voice in their head” and not just another submission. Beautifully put! I was just reading the new issue! So far in the stories & poems I’ve liked best I’ve learned how to refer to the clap in French, how trees decompose, and how air enters a room. Will be looking for more by Robert Beverly Ray. Finding editors willing to take a chance on unpublished writer’s is like finding a needle in a haystack. Or, should I say a pot of gold? To every unpublished writer these editors are priceless! Would love a chance to win wanting to look into places to submit my work and glad for ones that take not already published writers. It’s great that you place little emphasis on the author’s vitae or author’s comments. Prose and poetry should stand on their own, being judged on literary merit independent of commentary. Sounds like a great magazine, am definitely going to have to check it out sometime. Love the tips for writing shared also! famous person,you always counted on and dreamed with!Dreams are not fantisies,they are for real and for pushing toward your awards in life too!So please ,accept this reply,as i know,i will wait in the night,,,closing it with a short goodbye! thank you! All! I would love to submit poetry to this regional magazine! I’ll be getting my submission ready to go shortly. Thanks for posting this. Classy, yet still approachable–what great attributes for a literary magazine! “Words need to be chosen deliberately.” Now that is an encouraging phrase to those of us who roll each word slowly and deliberately around the tongue before deciding it is worthy to take it’s place in the sentence. Thank you all for your positive comments! Please click the “Like” button at the bottom of the article to show your support. And remember to share this contest and fantastic discount with all your writer friends! Thank you for the information interview. I love your cover. It’s been a while, but I’ve always enjoyed reading the NER when I’ve picked it up—always a variety of writing, and original voices. I’m happy to be reminded to submit to them too. I’ve heard of NER before, it has a fine reputation. I plan on submitting a story one of these days. Thanks for highlighting this one! It’s exciting to hear from editors who want to discover new writers, and who aren’t afraid to encourage good writing! This one will be on my “to read” list from now on, and hopefully on my submission list as well. I am impressed by their openmindedness characterized by interest in new authors and willingness to read a submission after a rewrite. Way to go! Always on the lookout for literary magazines looking for fresh voices and an appreciation for language in storytelling! I enjoyed this feature on NER, and the caliber of fiction they represent. I carry a mix of creative passions as a short story writer, novelist, musician, budding actress, and photographer. It is all the parts of me that I put into my writing, and for me, I am a writer who believes in the depths that extend from a simple sentence. And I write with the conviction that there is meaning in how we paint a scene in words, that we carefully choose them like flowers from a vast garden. NER is such a great lit mag. Loved it in college, too. I’ve thought of subscribing to New England Review for years. Time to stop procrastinating! What a friendly way to introduce to some and present to others your magazine. Your responses allowed me immediate entrance into your mission and the cover is a wonderful, warm invite into language and literary dimension. I like your answer to number 2, and I like that you look to publish unpublished and emerging writers instead of just going with big-name writers alone. I also love all the great 80s references in Scott Southwith’s “Time Keeps on Slipping On, etc.” I had an Atari too. Thank you for guarding the English language from careless disregard and mass destruction on the sentence level! Going out and looking for a copy here in Roswell, NM. Maybe I might find one. 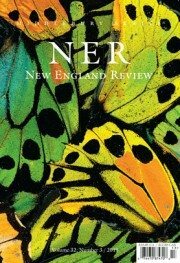 Receiving a subscription to NER would be like driving through Vermont’s Green Mountains into New Hampshire’s White ones, taking in a bit of seaspray in Maine and digging for clams as well as new poetry ideas on Cape Cod. Not too bad from the comfort of my desk in Chicago! Can’t wait to submit to NER!!! Glad to hear you publish new authors. The editors will look at a piece again? What a wonderfully encouraging attitude! Wonderful news. I’m a published writer but not a published poet, and I have found a second passion in that genre. My chapbook that awaits publication is about senior love and what can happen if we wait too long. I’m loving these literary journal spotlights. They’re pointing me in the direction of some great new places to submit! I’m always interested discovering journals I might otherwise not have read. NER fits the bill. The editor has convinced me to submit. Thanks, Writer’s Relief. I’m going right out and looking for a copy of this mag — is it available at B&N? Please. Just another reason to keep on writing. I appreciate their willingness to have a relationship with their writers. It makes the submission process easier. So cool! It looks like NER is publishing great stuff–samples online are awesome! If the editor happens to see this comment, I just wonder why poetry is no simultaneous subs but the other genres are OK.
Aww, I love the answer to the last question. The editor’s favorite thing gives them hope and that answer gives me hope as a writer! As rejections pile up around me, it’s great to be reminded that editors love writers, they’re just looking for the right fit. Thanks to New England Review for providing these great responses and a great journal, and thanks to Writer’s Relief for doing this piece. My spirits are officially lifted!